Implementing the right IT infrastructure and digital skills is key to rolling out a successful remote working strategy. Across Europe, technology is fuelling a transition towards mobile and remote working, and with it ushering in a new era of productivity. Such is the pace of this change that employees today no longer hope, but rather expect flexible options that cater to their work-life balance. Implementation of such practices has also been proven by the CIPD to benefit employer as well as employee, improving both staff engagement and motivation, so if done properly this should be a win-win situation for organisations. However, without the right IT infrastructure and digital skills in place, such a strategy will be more of a hindrance to businesses than a help. The first step to a more productive working strategy is ensuring that the technology which physically lies in the hands of employees is up to the demands of today’s mobile worker. Hardware must be easy-to-use, sufficiently powerful and portable to run multiple business applications, and at the same time robustly secure as a first line of defence against cyber-attacks. Lightweight business-built devices such as Toshiba’s convertible Portégé X20W are essential to achieving this, giving companies the edge over consumer products that are often lacking the business specific security capabilities required for today’s businesses. Such devices are designed with each of these key considerations in mind to ensure that employees remain well connected through a range of ports, benefit from the power of the latest processors, and are protected by a range of robust biometric and in-built security barriers. It is security which rightly serves as the chief concern for IT departments. People are the weakest link in any security chain, even more so when they are working away from the office and beyond any stringent measures enforced within the more manageable office environment. An employee on the move is harder to control and therefore more vulnerable to attack – whether through bypassing security protocols to access sensitive files, or simply forgetting their laptop on a train. At the same time, attacks such as the recent WannaCry ransomware demonstrate the scale of damage today’s cyber-criminals can inflict in a world where data and Personally Identifiable Information (PII) are at the fingertips of almost any organisation. While a business device can serve as a strong initial defence, businesses should implement deeper security solutions into their infrastructure which account for the greater risks involved today, and take any security responsibilities out of the hands of their staff. Mobile zero clients achieve exactly this – providing functionality and data through the user’s Virtual Desktop Infrastructure (VDI) solution, they do not allow any data to be stored on the device itself. The device instead acts as a sophisticated mobile terminal, enabling users to still benefit from its connectivity and broader features, but removing the threat of malware being stored on the device and data theft in the event the device is lost or stolen. With European businesses obligated to comply with impending GDPR enforcement in 2018, mobile zero clients can play a crucial role in particular for organisations operating in sectors such as finance or healthcare, where vast amounts of sensitive data are present. Failure to meet the new criteria mapped out by GDPR will result in significant penalties, with those in breach potentially incurring a fine of up to 4 per cent of annual global turnover or €20 million, depending on which is greater. 70 per cent of European workers already need some level of digital skills to do their job, according to the European Centre for the Development of Vocational Training, and yet 40 per cent lack the required talent in this area. It is therefore essential that businesses play their part in addressing this skills gap, firstly by helping to educate their staff on best practice, ensuring they understand any risks and pitfalls, but just as importantly by providing them with business-built solutions which enable them to work productively and securely no matter where they are. Beyond this and meeting the needs of staff who increasingly want the flexibility to work remotely, there are broader influences which are pushing European businesses towards mobility, whether they like it or not. Chief amongst these is a limited supply of quality office space, coupled with increasing rental costs which can put a severe strain on the resources of some smaller companies. With Savills’s European Offices Market Report predicting a continuation in the decline of vacancy rates across the continent – reaching just seven per cent by the end of the year – many businesses have to ensure their staff can work from remote locations or risk paying a premium for suitable offices. It is abundantly clear that flexible working is already, or will soon become, a necessity for the majority of organisations. Any which don’t soon adapt will be left behind – whether that is through an inability to attract staff who increasingly demand the option to work this way, or due to an under-prepared IT infrastructure unable to carry the weight of such a strategy. 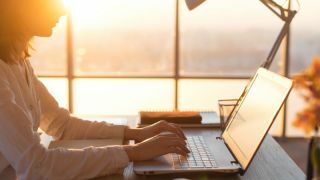 The fact remains that most workers possess the means to work remotely regardless of whether their employer provides them with the necessary technological tools and training to properly do so. Neglecting staff in either of these areas will only result in an improper use of technology – not only hindering worker productivity but also exposing businesses to what is arguably a broader and more advanced IT security threat than ever faced before. Business should act now to execute a viable mobility infrastructure. From highly-connected devices and effective collaboration tools like Slack, to ultra-secure cloud solutions which protect against increased security threats, there are a range of tools businesses need to consider implementing to ensure they have put in place an all-encompassing IT infrastructure that meets today’s requirements. The ongoing shift towards mobile working is only set to continue, and if employees aren’t set-up to make the most of today’s ‘workplace’ technology in a productive and secure manner, then it is the business which will ultimately lose out.